Book a Street Artist Access our network of handpicked musicians, performers and visual artists. Discover wedding singers for hire, hire a graffiti artist to paint your walls or choose one out of many entertainers for hire to be the highlight at your company event or conference. We are constantly scouting the best artists in every corner of the world to join us so that you can choose from a large variety of local and international artists: whether it is to hire entertainment for your birthday in London, a wedding band for your special day in Lisbon, or a graffiti artist for hire to transform your spaces with original wall art. Cannot find your city here? Company teams have booked graffiti workshops, friends have hired a musician to surprise a birthday boy with a living room concert, tourists enjoyed a Lisbon street art tour, a mom hired an artist to paint her child's bedroom, a start-up was inspired by our office wall art ideas, and love birds have found the perfect wedding band for their wedding. What is your special artistic moment going to be? We started Book a Street Artist a few years back when we were living in one of the most beautiful cities on this planet: Lisbon, Portugal. Observing and talking to artists in the streets of Baixa and Chiado we realized two things: many of them are unbelievably talented, and at the same time overlooked and undervalued. Since then, we​ ​are​ ​dedicated​ ​ to empowering artists ​and​ ​making​ their art ​universally​ ​accessible for anyone to book them.​ ​We​ ​believe​ ​that​ ​talent​ ​should​ ​be​ ​valued independently​ ​from​ ​the​ ​context​ ​it​ ​is​ ​presented​ ​in. Today, on our platform you can find over 700 artistic services from handpicked artists. Anything from wedding bands and DJs, artists and entertainers for your next company event, to graffiti and visual artists that can create fantastic wall and art installations to decorate your spaces. 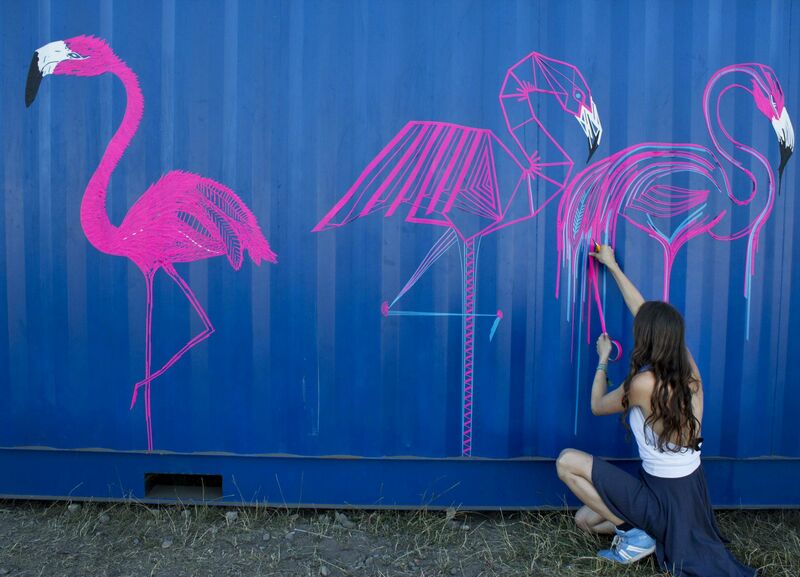 Welcome to the colorful world of (Street) Art.